Popular Nigerian journalist and social media personality, Kemi Omololu-Olunloyo, has been released from Port Harcourt prison after spending about almost 90 days in detention. The controversial blogger who is the daughter of former Oyo State Governor, Dr. Victor Omololu Olunloyo, was incarcerated some months ago for publishing false claims about a clergy, Pastor David Ibiyiomie of Salvation Ministries in Rivers State. 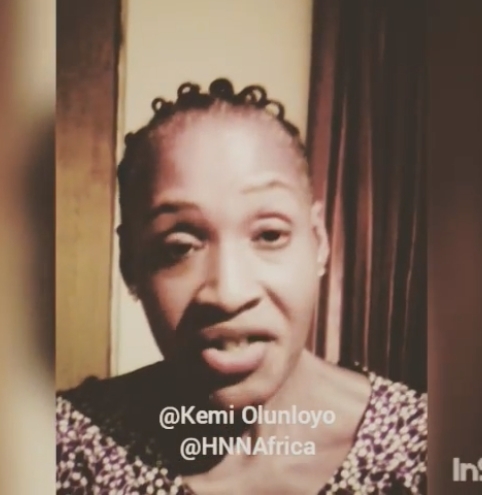 Kemi Olunloyo who was released on Tuesday from Port Harcourt prison where she was remanded in a defamation case, took to her Instagram page to make the announcement to her fans on social media. "#BREAKING I have been released from Port Harcourt maximum prison for the third time in 12 months. To the Federal government of Nigeria, pls decongest #PHMax. Our young #Igbo #Ogoni #Ikwere #Calabar #AkwaIbom males are all LOCKED UP and not fed adequately. Many wasting away with skin and health problems. The Federal Ministry of Interior needs to intervene FAST! Special thanks to @areafada1 and #ourmumudondo movement which I helped launch @tvcconnect Dec 13th 2016. . Details in my upcoming book #StraightOuttaPHMax. Blogging my prison experience begins soon. S/O to all the #imostate and #Ogoni people. YOU ROCK!! This country belongs to ALL OF US. Nigerian journalist and CEO of @HNNAfrica, Kemi Omololu-Olunloyo, has been released from Port Harcourt prison after spending about almost 90 days in detention for a third time.